Based on the Chinese characters “Shang” and “Xia”, the Shang Xia brand name literally means “Up-Down”, which at the first instance, may sound confusing. But a closer look into the Chinese characters “Shang” and “Xia” reveal a deep philosophy of life: the circulation between two energies of Yin and Yang, past and future, tradition and innovation, and craftsmanship and contemporary design. The Shang Xia brand’s concept reflects a flow of energy from the past to the future, and a link between the old and the new. It aims to create emotion, inspiration and surprise. Shang Xia has earned the moniker “Chinese Hermès” from its Chinese customers for successfully blending the Hermès philosophy of innovation with traditional Chinese craftsmanship and contemporary design. Although Shang Xia currently runs as a separate entity from the actual Hermès brand, the maison remains the key shareholder, with a 90% stake in the Hermès-Shang Xia venture. As a Chinese luxury label backed by the international luxury brand Hermès, Shang Xia’s products include fashion, accessories, furniture, home décor, jewelry and gifts, and are designed to fill the nostalgic gap left by the Cultural Revolution when many traditional Chinese artifacts were lost. Each piece is delicately crafted with all raw materials sourced from within China. With a mission to resurrect and nurture the sense of craftsmanship which was lost as China became a mass-production economy, Shang Xia’s brand offerings are built on centuries of Chinese heritage with top-notch quality adding a contemporary twist on traditional Chinese aesthetics and crafts. Like all luxury brands, Shang Xia aims to appeal to high income earners and the top echelons of society through its own interpretation of design and fashion. Yet, unlike many European fashion houses who have been marketing their creations to a primarily Western customer base for generations, Shang Xia distinguishes itself by catering to a mixed demographic. Given that the brand’s targeted customer base is expected to be about 60% Chinese and 40% European, Shang Xia had to take greater caution in ensuring that the aesthetic of their collections appeal to both Chinese and European tastes. Shang Xia first entered the European luxury market in 2009 when it opened its pilot store in the St. Germain neighborhood in Paris. It later emerged in the Chinese luxury market around September 2010 with a flagship store in Hong Kong Plaza, one of Shanghai’s leading luxury malls. A second store opened in the equally up-market China World Trade Center in Beijing in late October 2012. Being located in key luxury hubs in both France and China has allowed the brand to maximize its outreach to the targeted customer base. The rapidly growing 21st century economy of China has undeniably led to rising income levels in the country. This trend, coupled with shifting attitudes toward the display of wealth, has been continuously strengthening the demand for luxury goods. According to management consultancy Bain & Co, Chinese consumers accounted for the largest portion of global luxury purchases (31%), with the overall market exceeding USD 1.1 trillion in 2015. Although there has been a renewed focus towards luxury spending within China, this has only led to a drop of only 1% point in China’s contribution towards global luxury spending in 2016 (standing at 30%), according to latest reports by Bain & Co. The number of global Chinese travelers have also skyrocketed in recent years. The number of Chinese consumers who travelled overseas rose from 46 million in 2008 to 120 million in 2015. Of these travelers, 72 percent said that they bought high-end products such as handbags, cosmetics and watches. This data proves that Chinese consumers have been increasingly exposed to luxury goods via the Internet, overseas travel and first-hand experience. As a result, they have become more discerning and savvier about the relationship between quality and price and the value proposition of luxury goods. Increasingly, Chinese luxury consumers have started to display preferences for more inconspicuous luxury goods than logo-flashing brands. In addition, with the effects of globalization starting to sink in, more and more young people in China crave their own Chinese identity that is sophisticated, contemporary and modern. These trends are critical factors that will influence Shang Xia’s brand building process in international luxury markets. Shang Xia’s CEO and Creative Director Jiang Qiong Er describes the brand’s customers as people who demand “true quality and art of life, and who are opinion leaders on what they want and why”. With flair and exacting attention to detail, Shang Xia aims to preserve the historical beauty and craftsmanship born from Chinese ingenuity, while providing a simple and elegant 21st century aesthetic. Currently, the brand is helmed by CEO Jiang, who first conceived the idea of Shang Xia after a meeting with the then Hermès CEO Patrick Thomas and General Artistic Director Pierre-Alexis Dumas in 2007. Their shared passion for quality craftsmanship, Chinese culture, as well as the mutual desire for a creative synthesis between heritage, innovation and emotion led them to build the unique creative vision that defines Shang Xia’s collections. Jiang started out by pulling together a group of museum connoisseurs and university professors, and getting their opinions. She then scoured the country for top ateliers who possessed the know-how to make Chinese goods, and improve on the traditional processes by introducing innovation. This was Jiang’s idea of reconnecting the past with the young generation by transforming traditional culture to a contemporary one. This contemporizing of traditional crafts is indeed demonstrated in its products. Its Da Tian Di chair, a traditional Ming dynasty-style chair reinterpreted in hi-tech carbon fibre, won an award at the EDIDA (Elle Deco International Design Awards) in 2016. CEO Jiang refers to the Shang Xia brand as a hybrid of Chinese and French cultures. Additionally, given that Shang Xia is primarily inspired by Chinese culture and design, CEO Jiang holds a position of extraordinary advantage. Her passion for artistic excellence was nurtured from an early age. Her grandfather Jiang Xuanyi was a famous Chinese painter and her architect father Xing Tonghe’s artistic work includes the famous Shanghai Museum. Additionally, having studied design at the Tong Ji University in Shanghai and subsequently at the School of Decorative Arts in Paris, her artistic immersions at both prestigious design schools have sufficiently equipped her to deliver exactly on the Shang Xia brand promise – which is to provide a link to the past through a combination of simple functional elements and traditional Chinese aesthetics and by creating Oriental-inspired aesthetics governed by the Hermès design ethos. In March 2016, CEO Jiang was presented the prestigious Chevalier de L’Ordre National du Mérite by the French government to recognize her contribution, setting her in the ranks of pianist Lang Lang and actresses Zhou Xun and Zhang Ziyi. CEO Jiang is one of the very few Chinese businesswomen to receive the award, attesting to her passion of bringing the best of Chinese aesthetics and craftsmanship to the global stage. Shang Xia has time and emotion at its core, and a huge focus on the experiential part of the brand. One aspect of the brand experience includes serving high quality teas at its stores, allowing customers to enjoy a sense of calm and peace, and experience the traditional way of life. This mentality of “slowing down and savoring life” is deeply rooted in French culture too. Shang Xia has transformed a historical building in the French concession area of Shanghai into a place for an intimate customer experience. In all its products, there is equal emphasis on both Chinese inspirations as well as French craftsmanship. For example, the zitan imperial chair uses both squared and rounded corners, reflecting artistic elements from East and West spectrums. Its first bag, called Lan Yue, reinterpreted a classic bamboo basket using textured leather, but in the style of a modern Western top handle bag. Shang Xia’s home-ware products also balance delicate ceramics with fine bamboo weaving, creating a subtle yet pronounced differentiation. The East-meets-West amalgamation is also found in the store concepts. The Shang Xia Paris boutique is designed as a cloud-like space made out of 6000 thin ceramic panels. Historically, ceramic has been a crucial element of Chinese culture. Chinese ceramic has long been an object of admiration in Europe. On the other hand, the glossy white face of the ceramic panels creates a lighting state that is commonly found in the pointillism paintings of the Western impressionistic art era. Its Beijing boutique is a reflection on the historic city with its serried city walls. It was designed with a combination of rhythms and aesthetics using geometric patterns of bricks of masonry, aluminium, tea and wood. Shang Xia’s product strategy is vastly different from what luxury brands have typically followed in China. Its products lack the flashiness and glitzy status that most brands jangle in front of Chinese consumers to attract attention. With an understated appeal, and at price points ranging from USD 27 to USD 75,000, the brand is both accessible and exclusive. At this point in time, Shang Xia has only three boutiques, one each in Shanghai, Paris and Beijing. CEO Jiang does not believe in building a brand empire, as the brand’s focus is not on increasing output and thereby compromising on quality. Rather, its priority is on working with traditional craftsmen who have refined their skills over a lifetime, in producing hand-crafted products of the best quality. Its products are released in several batches annually and come in limited quantities. This in turn does not allow the brand to scale up production easily, which helps in retaining exclusivity (and its perception). Shang Xia places a huge emphasis on the stories behind each of its product categories and the manufacturing process of the products themselves. It dedicates a space on its website to showcase the significance and process adopted for bamboo weaving, cashmere felt sculpting, furniture building and porcelain, which are used in creating its products. Its in-store sales consultants are also well-equipped with the knowledge behind each product’s creation to inform customers of the stories behind them. These stories are crucial to Shang Xia’s product strategy as it allows customers to not only understand more about the product but also about the brand philosophy. Furthermore, the brand also accepts requests for customization in orders for its products, but only for an additional premium cost. All these individual elements represent the overarching product strategy of Shang Xia, which is built on a deep commitment to quality and exclusivity. One huge obstacle that stood in the way of success of Shang Xia’s initial brand communications was “How does one make the concept of “Made in China” ultra-chic?”. 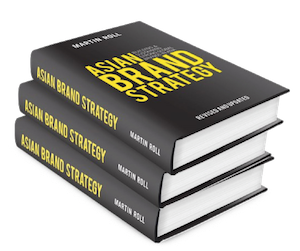 In a 2014 article in The Economist, it was reported that local Asian brands were perceived to be inferior in both value and quality to foreign brands. The negative association of Made-in-China products as being poor in quality was an issue that Shang Xia had to tackle head-on. To do this, they created a digital campaign surrounding a mysterious masked man travelling from China to bring “culture seeds” to Paris. The intrigue of the story and the campaign’s high-end aesthetics were able to generate organic conversations on Sina Weibo, one of China’s most popular social media websites. The campaign garnered over six million views on social media platforms and provided Shang Xia with a great deal of exposure in the initial launch days. Since its launch, Shang Xia has relied on minimal advertising. Instead, it uses exclusive art and fashion events to promote its brand. With regard to its online presence, Shang Xia has always maintained a low profile by only having a corporate website that provides basic information about the company. However, it is difficult for the brand to ignore the massively growing e-commerce market in China in its effort to remain exclusive. In March 2017, the brand has seen a change in communications strategy, to start build its online presence through launching an online store on Alibaba’s e-commerce platform, Tmall. As a luxury brand, Shang Xia also relies on positive word-of-mouth from its current customers and industry experts to promote the brand. Unlike other brands, Shang Xia did not start by introducing new products. Instead, it sought to build a contextual foundation. At the time of the brand’s launch, the idea of Chinese history fitting into a modern luxury framework had not been adopted or evaluated by any brand. Hence, Shang Xia took the necessary steps to create a platform for it to move forward, through its inaugural annual non-profit exhibition, named “Pass it On”. The exhibition strongly demonstrated the brand’s sense of heritage and emotion through the creation of an annual cultural object. In 2011, the object at the center of visitors’ attention was a box containing personal artefacts and a book of stories from China’s past. The items were displayed outside the store and also featured a collection of old family photographs and personal souvenirs that were not previously associated with having luxury value. The key was in the original presentation of these mundane items – it allowed Chinese consumers to feel a common sense of history with the brand and encouraged audiences to reconsider their memories as meaningful and worthy of rediscovery. These concerted efforts in brand building have helped the brand’s target Chinese consumer to embrace their own indigenous traditions and craftsmanship, and enabled them to draw out contemporary meanings for Chinese traditions. Shang Xia’s goal is to give Chinese heritage a sense of prestige, place, and purpose among upwardly mobile consumers. Shang Xia insists on not adopting a rapid growth path for its future plans. Rather, it aims to stay true to the brand’s philosophy to create something valuable that can be passed on to the next generation. CEO Jiang has mentioned that it is one of her dreams to prepare the younger generation for the future. The brand may be fulfilling this ambition by developing a new “School of Craftsmanship” in the next few years to come. Brand sustainability: The Hermès-Shang Xia venture represents a unique China strategy for global fashion conglomerates, which is to build a brand from scratch using both Western and Eastern design values. Hermès didn’t expect the brand to make any profits till 2016. However, given its positive reception from Chinese and European consumers, Shang Xia is bound to become a sizable player in the Sino-European luxury sphere. Due to its very unique focus on balancing tradition with modernity and craftsmanship with style, Shang Xia needs to be careful about overexposing its brand, which may dilute the brand equity and lead to commoditization. CEO Jiang’s vision around careful nurturing the brand and not aiming to build a global retail empire will avoid this overexposure and maintain the exclusive nature of the brand, but it is important not to succumb to growth and revenue pressures. Immaturity in the luxury market: Given that Shang Xia is a relatively new brand in the luxury market, it will be an uphill task to build confidence in and convince customers that the brand’s products are worth the prices it is charging. Hence, it needs to build a brand story and craft its brand experiences around the story. Shang Xia needs to demonstrate unwavering focus and priority on its long-term objective to build its brand, compared to making short-term profits. One of the true marks of a successful luxury brand is to have consumers buy into the entire brand experience and not just the product itself. Shang Xia may also want to consider leveraging on other positive brand associations of its parent brand, Hermès’ established international brand image through its future brand communications. This would help build consumer confidence especially with the luxury brand’s lack of a longstanding history that is vital for the success of a luxury brand. But care needs to be taken that the overarching brand story is still driven by Shang Xia’s vision (and not that of Hermès). Intense competition: Although transferring a European design philosophy to a Chinese brand may seem unique right now, it is only a matter of time before other big names jump onto this risky yet potentially lucrative bandwagon. Shang Xia’s competitors are likely to manifest in two forms – one being new Chinese brands put out by other European fashion houses, and/or revived Chinese labels acquired by European luxury groups. This list of future rivals could possibly include Swiss luxury group Richemont, who bought over Shanghai Tang in 1998, and L’Oréal, who already owns Chinese cosmetics brand Yue Sai. Both companies are keeping an eye on Shang Xia’s progress in China, and will most likely be launching comparable joint ventures in the months to come. Even though Shanghai Tang is currently struggling to stay afloat in the West, its sizable clout in the Chinese luxury sphere, as well as continued popularity among the Chinese elite could pose a threat to the growth of Shang Xia. Slowdown in luxury sales: According to Bain & Co, the growth in luxury sales globally is seeing a slowing trend over the past 5 years, from 11% between 2010 and 2011, to less than 2% between 2014 and 2015. It predicted that global luxury sales will continue to be in single digit figures in 2016, with a measured growth of 2-3% through to 2020. Although Shang Xia operates in a specific segment of luxury goods and is aiming to carve out a unique niche, this slowdown in growth could be a real threat if the impact across different luxury goods segments is asymmetrical. But both CEO Jiang and the Hermès management board are focused on long-term brand building rather than short-term revenue growth. Shang Xia needs to continuously think of targeted strategies that will make consumers aware of the brand’s unique proposition. As awareness gradually builds up, the next step would be to expose the brand’s design principles and sensibilities through curated events, exhibitions and product launches. Another strategy that Shang Xia can look at fortifying is to bring forth real stories of craftsmanship that go into the manufacturing of its products. Many strong Western brands have attempted to fortify their brand equity by expanding into newer product categories, which ultimately causes the brand to lose its aura of exclusivity. With a price range of USD 26,200 for a porcelain bowl set to USD 37,500 for a Ming dynasty-inspired chair, CEO Jiang is aware about the need to balance between accessibility and exclusivity. She has expressed that the brand is working to broaden the range of more accessible products in order to target younger consumers, who also appreciate the tradition, culture and heritage that Shang Xia embody. Nonetheless, with its January 2017 sales reflecting a 25% increase from the previous year and the brand seeing a similar double-digit growth every month in 2017, market conditions do not seem to be a huge threat to Shang Xia currently. There is no one doubting the potential of Shang Xia’s bold creative vision and the products that are the outputs of the vision. Shang Xia’s future success potential will depend on its ability to react to competitive pressures. There is a possibility of competition entering the space Shang Xia wants to occupy sooner rather than later as luxury manufacturers are continuously looking for areas of growth. The future direction of the brand will also depend on how Hermès continues to treat the brand in the future – will it allow the brand to grow using its unique creative vision or would there be an attempt to force the brand to follow its ethos. Regardless of how both these factors influence the Shang Xia brand, it will be a fascinating journey to follow as Shang Xia establishes itself in both European and Chinese luxury markets.